Pod vaping devices are undoubtedly the hottest devices to hit the vaping market in years. If you tried one of the early pod-based devices, though, you might have been disappointed by the fact that they were all low-temperature devices designed for mouth-to-lung inhaling. You might have wondered why there weren’t any more powerful devices for existing vapers who had already grown accustomed to direct-to-lung inhaling. 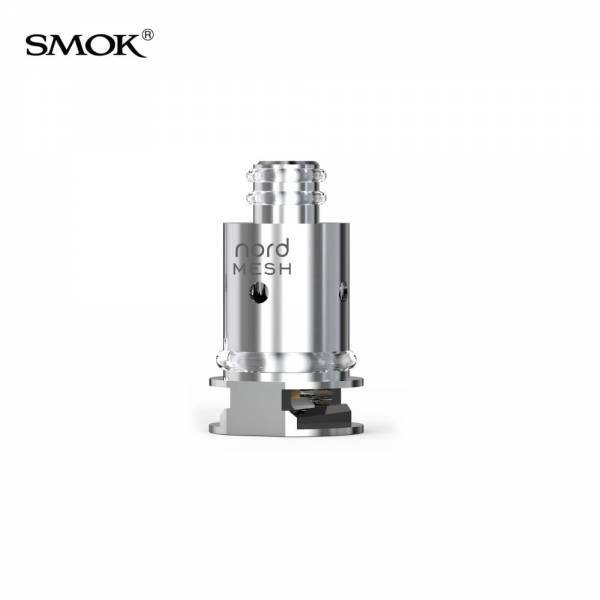 The SMOK Nord is finally here to answer your prayers. 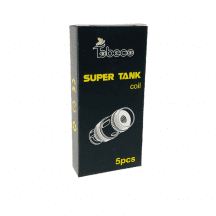 Finally, here is a tiny vaping device with support for a modern sub-ohm mesh coil! The wait is over, and you can now enjoy room-filling clouds with a device that fits in your pocket. 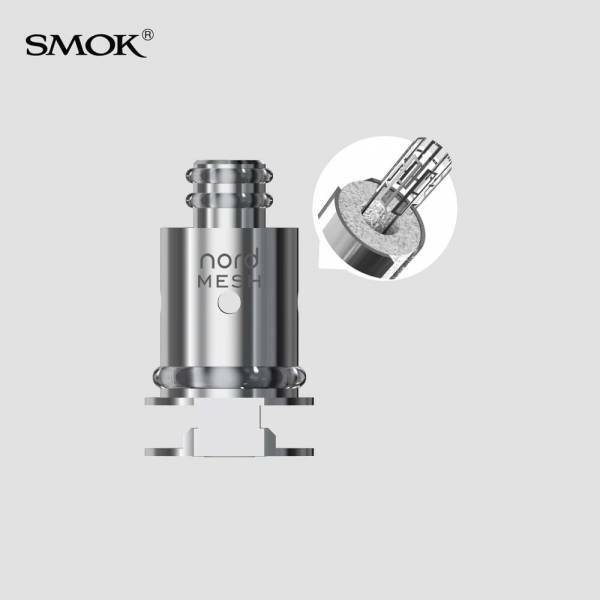 Just to ensure that new vapers aren’t left out of the fun, the SMOK Nord also has higher-resistance coils available for mouth-to-lung inhaling. Grab your replacement SMOK Nord coils right here, and don’t forget to grab an extra SMOK Nord pod before checking out. All products purchased from Vapors Planet ship free, and they’re always guaranteed authentic. 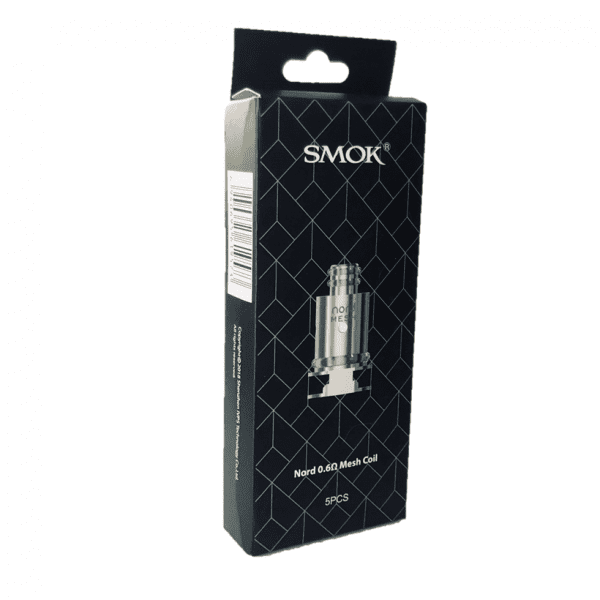 What’s Special About the SMOK Nord? The SMOK Nord has a coil selection that no other ultraportable device can beat. It’s the first pod vaping system with a sub-ohm mesh coil for cloud chasing. 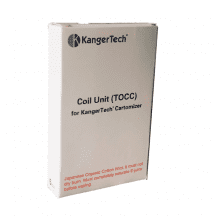 A super-durable ceramic coil is also available, as is a high-resistance coil for mouth-to-lung inhaling. No matter that your ideal vaping experience may be, you can get it with this device. 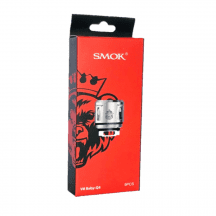 The SMOK Nord has a manual fire button for maximum vapor production. To enjoy the biggest possible clouds, press the button just before inhaling. With its 1,100 mAh battery, the SMOK Nord has more than triple the battery life of some other competing pod vaping systems. 0.6-ohm coil: Kanthal mesh coil. Designed for direct-to-lung inhaling. Effectively makes the SMOK Nord the first ultraportable vaping device for cloud chasing.